Venus is like Earth on fire. Although Venus is about 10 times hotter, the planets are similar in size and gravity. Scientists have reason to believe this inferno of a planet was once home to bountiful Earth-like oceans. That’s because the planet contains atmospheric deuterium, a form of hydrogen found in our own oceans. But now the planet is bone dry — it’s atmosphere contains as much as 100,000 times less water than Earth’s. It would be no shock if Venus’ water simply boiled away under the intense heat of the sun. But, if that were the case, there should be telltale molecules lingering in the atmosphere. “We found that the electric wind, which people thought was just one small cog in a big machine, is in fact this big monster that’s capable of sucking the water from Venus by itself,” Glyn Collinson, co-author of the new study, said in a statement. This electric wind, at about 10 volts, is at least five times as strong as Earth’s, The Washington Post reports. 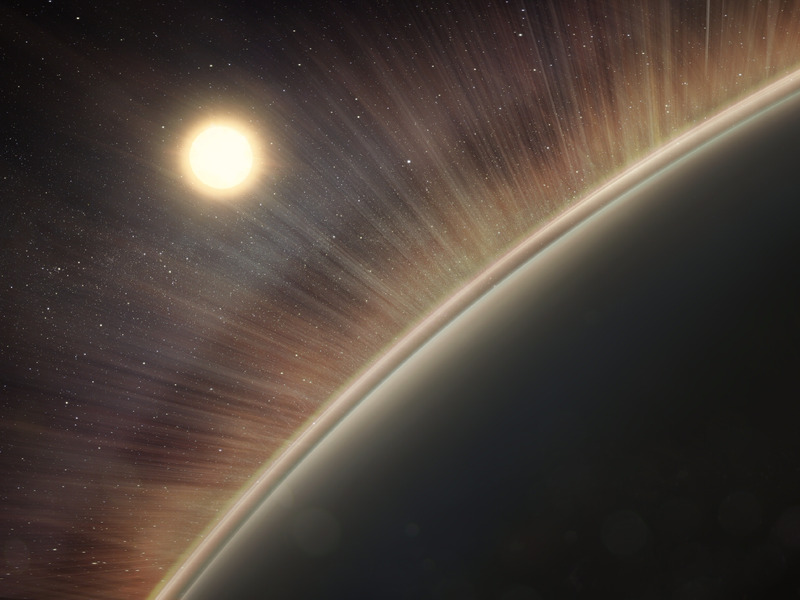 Scientists still aren’t sure why Venus’ electric wind is so much stronger than Earth’s, but they think it might have something to do with how close Venus is to the sun. The researchers believe this is a crucial finding for the future of space exploration. Knowing more about the causes and effects of electric winds will inform our search for extraterrestrial life on exoplanets.